My essentials for my dream bathroom are a roll top bath, lanterns, wicker lots of natural light and clean white walls. Our bathroom is nothing like this, but a girl can dream hur? 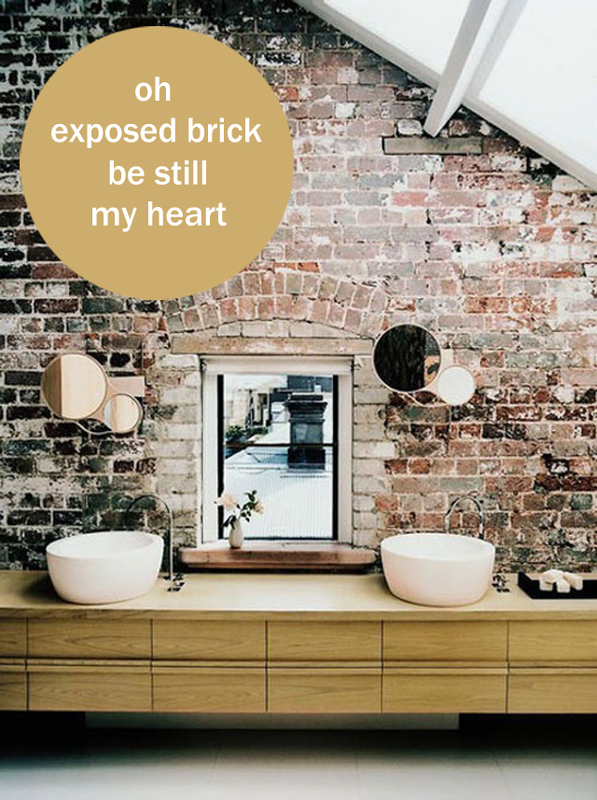 I have exposed brickwork in my flat in every room other than the bathroom, looks wonderful but the hoovering of the brick dusk isn't! Love this, I can't stand my bathroom. It's small and there's only one (it's the one downfall of our place), so I dream of overhauls often. 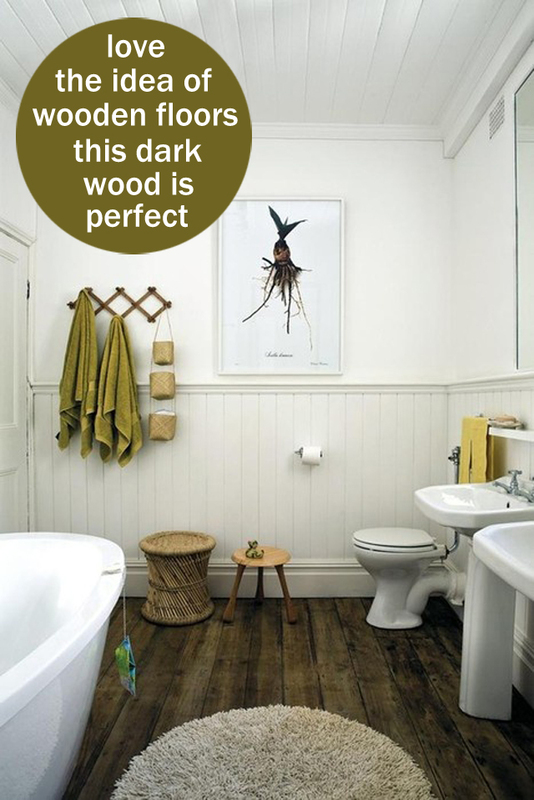 I'll say that I've specified wood floors in bathrooms in the past, and clients have frequently come back not too happy. I love the look, but it's so tough to get a finish that really holds up to the water. 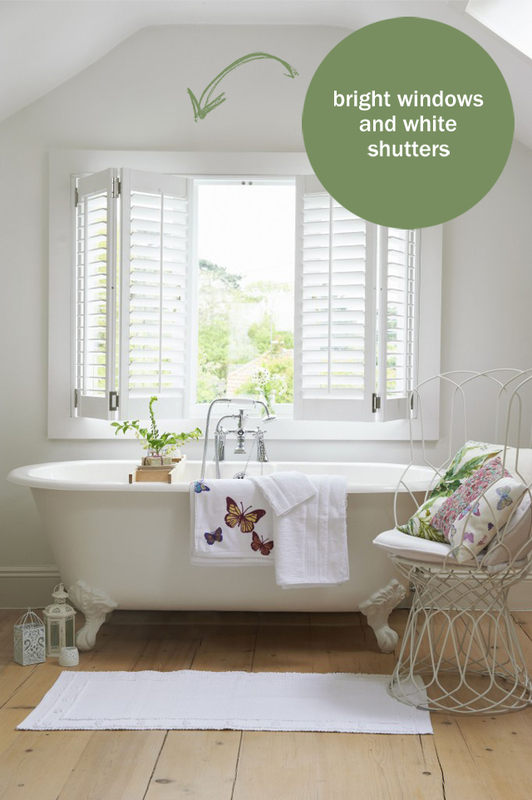 Works well in a powder room that doesn't have as much shower and tub splashing though! I think I could live in that first space! Thanks so much for stopping by my blog, Fritha. Looking forward to checking out more of your lovely piece of the web. Ooh we have that very same roll top bath with the claw feet. I always wanted one so it was on my non-negotiable list when we specced up our house (it was a bit of a renovation job). Love my baths!! Wow! so beautiful inspiration I wish I could have one of these bathrooms. That's a really cute tub. I love how you play with your ideas. Is it ok if I use it as inspiration for my home in apartments los angeles?